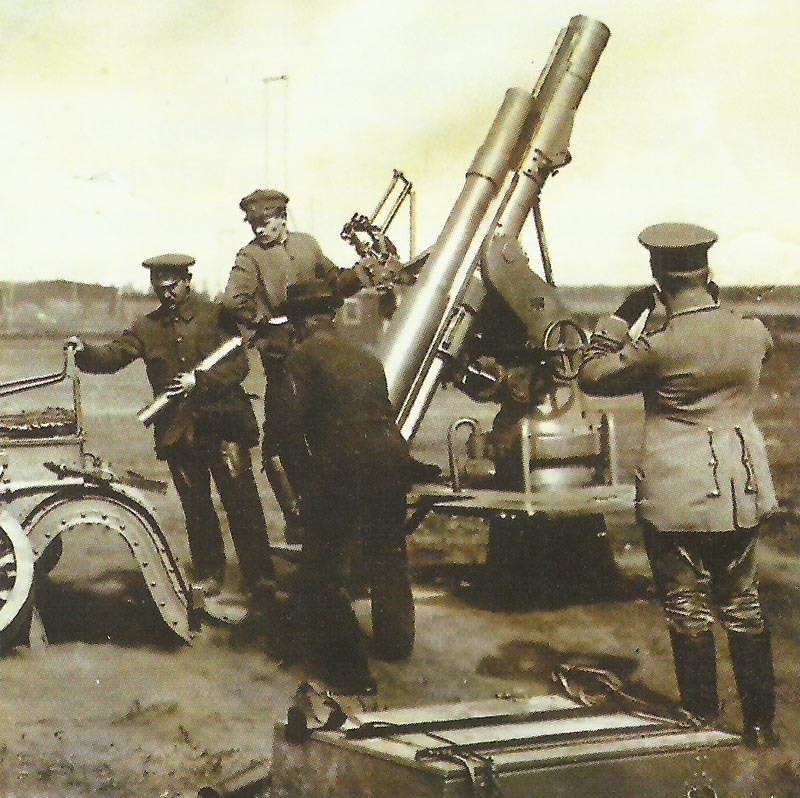 Captured Russian 7.62-cm field guns were converted to anti-aircraft guns and used in the German frontline divisions and for home defence. Germany: 62 French bombers (2 lost by anti-aircraft fire) attack Dillingen steelworks near Trier using converted 155mm artillery shells. Poland: Linsingen’s Bugarmee occupies Brest­-Litovsk as Mackensen advances to north. Montenegro: Austro-Montenegrin fighting at Cattaro, Austrians repulsed at Grahovo on August 27. Cameroons: Allied Conference at Duala (until August 26) to plan final advance on Yaunde after rainy season. Brigade-General Cunliffe reconnaissance Mora in the north. Greece: Serbian Minister in Athens demands Greek help under 1913 Treaty. Poland: General Beseler made Gouverneur-General (Pilsudski arrives at Warsaw on September 15). Britain: 12,000 South Wales miners win bonus strike until September 1; August days worked a 20-year record. Russia: Duma President Rodzianko‘s letter begs Tsar not to become C-in-C.